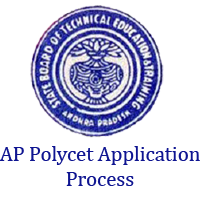 AP Polycet Application Process 2019 Updated. Candidates can check the complete Andhra Pradesh Poly CET (CEEP) Application Process here. Along with the Application Process, We have also provided the AP CEEP Online Application Link. So, willing candidates can check the CEEP Application Process and also apply here. Candidates can also attain the AP CEEP 2019 Eligibility and application fee details. Since the last date for AP Polycet Registration is in April 2019, the candidates can complete the Andhra Pradesh CEEP Registration process as early as possible. Apply Online for the Andhra Pradesh Polycet Exam from official website polycetap.nic.in. 1.3.1 How to Apply Online for the AP CEEP 2019? Candidates who are eagerly waiting to know the AP Polycet Application Process 2019 are at the correct place. AP Polycet is a State level Entrance Exam to be held to get admission into the Private or Government Polytechnic Colleges. State Board of Technical Education and Training (SBTET) is going to conduct the AP Common Entrance Exam for Polytechnic in April 2019. Therefore, the Candidates who are eagerly waiting to get admission into the Polytechnic Diploma courses like Technical, engineering, non-engineering streams can download the AP CEEP Notification 2019 from our page. Therefore the eligible contestants can apply online for the AP CEEP 2019 from March 2019. Are you in search of AP Polycet 2019 Registration Steps? Then you can check the detailed procedure here in this article. To avoid the confusion, we are providing the AP CEEP Online Application Steps for the sake of the individuals. Therefore, without wasting your time, you can immediately start the process of Andhra Pradesh Polytechnic Entrance Exam online application. The AP CEEP Online Application Process 2019 includes registration steps, fee payment and the submission of required documents before the due date. For further insight into the AP Polycet Application Process, you can stay on this page. Organization Name State Board for Technical Education & Training (SBTET). Name of the Examination Andhra Pradesh Polytechnic Common Entrance Test (AP Poly CET). Deadline for AP Polycet Application Submission 21st April 2019. Date of Exam 30th April 2019. Candidates can have the facility to pay the Andhra Pradesh Polytechnic Entrance Exam Application Fee either through Online or Offline mode. The process of fee payment differs according to the mode they have chosen. Once you have paid the fee you can complete your AP POLYCET Online Application process. The amount is not Refundable. So, the candidates must have to complete the online application process within the due date. Otherwise, the application is not valid. You can pay the AP Polycet 2019 Application Fee at the nearest APOnline/ E-Seva/ Mee-Seva/ Helpline Centers. Candidates can pay the application fee through Credit Card/ Debit Card/ Net Banking at the time of filling the Application Form. The Application fee is Rs. 350/-. AP Polycet Online Application is available from March to April 2019. Interested and the eligible contenders have to apply online or the AP Polytechnic Entrance Exam on or before the due date. Otherwise, the application will not be taken into account. To avoid the confusion, the candidates can buy the AP Polycet Booklet for Rs.20/- from the helpline centres. After reading all the guidelines carefully, you can start the process of CEEP Online application through the official site. So, the candidate has to fill the Online application with all necessary details such as educational qualifications, address, etc. only in the given format. How to Apply Online for the AP CEEP 2019? File AP CEEP Application Form. AP Polycet Application Fee Payment. Andhra Pradesh POLYCET Application Status. In the main menu, click on the “File Application”. Fill your particulars in the relevant fields. Submit the AP Polycet Online Application 2019. Therefore the candidates who are applying in Online/ Offline for the AP CEEP 2019 Exam need to pay the AP Polycet Application Fee. Andhra Pradesh CEEP Application Fee: Rs.350/-. Check the Ap Polycet Application Status by entering the application number. After the official release of Admit cards, the applicants have to collect the AP CEEP Admit Cards from the official website. It is an important document that should be carried to the Examination center. Without the admit card, the candidates will not be allowed for the Polytechnic Entrance Exam. So, you must download the Andhra Pradesh Polycet Hall Ticket. how to Apply Online Application form-2017 in online please refer a website and procedure of the online payment. The website(polycetap.nic.in) you have provided to apply is stating that ‘Website is closed for the academic year 2016’. But it is already 2017, and there is no link to apply online. Can you please provide me the exact link to apply. Can you please let me know the exact start and end dates of application. i want to ceep 2017 application. The online portal is not accessed. I tried a lot for last one week. There is some issue with Google chrome browser for opening online registration link. I tried opening the online application link in internet explorer 11 (IE11), its working fine, I filled the form, fee paid and got the hall ticket immediately. Hope everyone try with IE11 version. The online application has not been opened. Pl see that the application form is opened in proper format and see filled by the candidated who written SSC exams. I did the payment twice and money deducted from account but it was not successfully. Got the below error. Request is not from a Valid Host. Kindly give details how to apply Diplomo in Agriculture,Horticulture. Please suggest on this what should I do? Sir,Kindly tell me Diplomo in Agriculture in Podalakuru,Nellore district give separate notification or in ceeo entrance 2017. Please extend the application submission date for couple of days as it will be useful for the people who are missed due to unforeseen issues. Or Please let us know is there any other way to submit the application even lately. It will be helpful for a student life and his aspiration. Can i apply for polycet. What is the syllabus for inter students. Previously i written polycet in2016 and got 30,000 rank. SIR APPLIED FOR THE AP CEEP SUCESSFULLY.BUT CATEGORY MENTIONED WRONG.THEN WHAT AM I DO .PLEASE HELP ME SIR.HOW TO MY APPLICATION MODIFY. I have uploaded a photo and signature, which has no clarity. I need to change both. How to do that, but my hall ticket was generated.